Are you sick and tired of cleaning and maintaining your pool? Or would you rather swim in your pool and let someone else do the hard work, well... look no further than Cozy Pool and Spa Care. We are leading providers in the Gold Coast when it comes to providing our services to cater for all of your pool care needs. We can have any pool looking sparkling clear in no time, at an affordable cost. Not only do we do once-off pool cleaning, but we also look after holiday home pool cleaning, green pool cleaning, regular pool cleaning and more. Our pool technicians live locally on the Gold Coast and are well equiped and qualified to deal with any swimming pool or spa. Has your pool been neglected and in need of repairs to tiling or concrete? We can have it fixed in no time. We will even come out and look at repairs free of charge to provide you with an obligation free quote on getting your pool back in working order. Furthermore, Cozy Pool and Spa Care also offers a range of pool equipment repairs and pool equipment replacement across a huge variety of brands to provide you with the most affordable and best solution to keep your swimming pool in operation at all times, without hassle. So don't forget to call us if you need us to look at your Sand Filter, Cartridge Filter, Pool Pump, Pool Chlorinator and other equipment. Don't put off your pool care needs any longer! Call one of our staff members today. 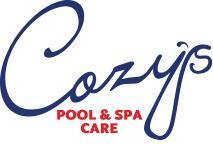 Alternatively you can visit our website at http://cozypoolcare.com.au . Here you can have a look at our pool services that we offer our Gold Coast residents and submit an online enquiry. We would love to give you a call to address any of your pool needs and provide you with the best positive solution that suits your needs. Great Business! Their pool technicians and pool cleaners have to be the best of the best on the Gold Coast. Highly recommend their services.